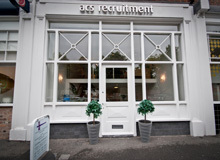 Well established medium sized practice with an excellent reputation require an EL/PL legal executive/Fee earner/paralegal to join their team in Macclesfield. Depending on experience, the successful applicants will have responsibility for a large portfolio of fast track personal injury EL/PL claims. It is essential that applicants have significant previous experience; applications will be considered from both legal executives and paralegals as long as you can demonstrate strong litigation and file handling experience.